Maffi Clinics' Blog: Skin care treatments and medical grade skin care products to keep you looking rejuvenated and refreshed. With so many choices and options, it is hard to figure out what works and what doesn’t. Using several different non-surgical procedures may achieve the results you are looking for. Certain antioxidants are superior in repairing skin damage. A powerhouse antioxidant, Vitamin C, helps boost collagen, improve uneven tone and brighten the skin. The antioxidant Vitamin E accelerates the skin’s healing process. Botox is the most popular non-surgical treatment, the treatment of choice by over 7 million people in the United States. But what do we really know about this popular treatment? Chemical peels are an exfoliating treatment, removing the damaged outer layer of your skin. As one of the more popular skin treatments, a chemical peel can be instrumental in restoring and maintaining your skin’s health. REFINE by Maffi focuses on your aesthetic goals, your schedule and your budget. Building a good skin health regimen requires commitment. Once a routine is established and consistently followed, your skin looks healthy and refreshed. Is it possible to obtain smooth radiant skin without irritation, redness, peeling or downtime? Say hello to HydraFacial! This multistep treatment can cleanse, exfoliate, extract and hydrate your skin in a relaxing, pain free way, leaving your skin with an instantly gratifying glow. 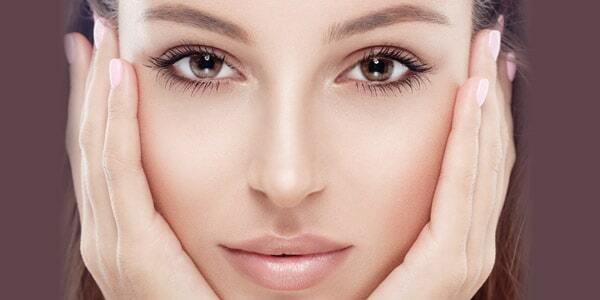 Platelet Rich Plasma Therapy or PRP is rapidly becoming the “go to” treatment for facial rejuvenation. Frequently used in soft tissue, joint or bone injuries, the healing properties in platelets are found to be just as effective in aesthetics. Too often the word retinol sends us into skin care confusion. Should I use it? What kind should I use? Why is it important? When used regularly, retinol can: reduce the appearance of fine lines and wrinkles, smooth out uneven skin texture, improve skin discoloration and overall firmness, and reduce pore size. Maffi is the ultimate destination for expert aesthetic surgery, professional skin care treatments and medical-grade products for men and women. We are thrilled with the new partnership with SkinCeuticals, which will enhance each patient’s overall experience. Medical-grade skin care products are formulated with higher percentages of the ingredients your skin needs so the outcome is better results. Products are backed by science and thoroughly researched and tested for optimal absorption and penetration into your skin.